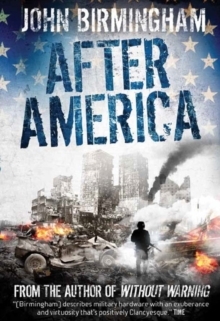 New York is on fire, the streets are overrun, and the Demon Horde is feasting. 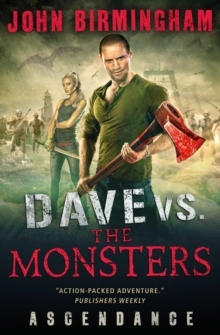 With the city in chaos, all eyes are on Dave Hooper, the monster slayer destined to save mankind. But hero or not, Dave is just one man and he's short of allies. He soon finds himself relying on Karen Warat: art dealer and Russian spy. Smart, dangerous and armed with a magic sword, Dave knows not to trust her. He also knows that without her, New York will fall. 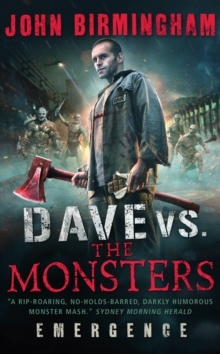 While the United States military try desperately to hold off the Horde, Dave and Karen realise that the monsters have a powerful new weapon. And when the legions of hell reach the small seaside town his kids call home, Dave has to make a call. Save the world? Or save his family?